Make It A Mother’s Day Weekend To Remember! C’mon, just ask us what you get when you mix a crooner (voted Best in Philly®: Cabaret by Philadelphia Magazine) with a jazz trio? A very special cabaret evening with Northwest resident, Michael Richard Kelly, at the Mt. 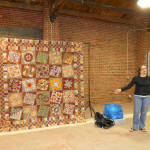 Airy Art Garage, of course! 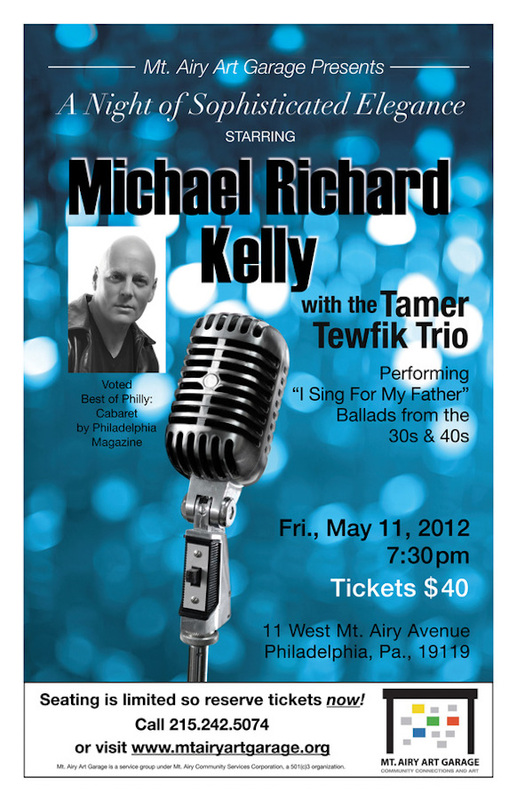 On Friday, May 11th at 7:30PM, MAAG will welcome Michael Richard Kelly with the Tamer Tewfik Trio for an evening of cabaret with Northwest sensibility, new renditions of old standards, and an array of ballads and songs from the 1930s and 40s. A Northwest neighbor with a passion for song (who was recently featured in the Chestnut Hill Local), Michael will be performing selections from his show entitled “I Sing for My Father,” where he’ll pay homage to the legacy of his father, Leon E. Kelly, who was a singer, radio and television broadcaster, and news anchor. A professional singer for over thirty years, Michael has performed at multiple venues across the country, and his career has encompassed many facets of performance. Some of you may have seen him in Forbidden Broadway or at Danny’s Skylight Room in NYC. Regardless, whether Michael is rubbing elbows with Broadway stars like Liza Minnelli during his run in “The All Night Strut” or singing cabaret at Odette’s in New Hope, PA, he brings a passion to the stage that is quite incomparable. So, rest-assured, it’s going to be quite a night. Plus, our gallery will be open where you can still admire the Sol Levy photography retrospective. Tickets are $40 and all proceeds benefit the Mt. Airy Art Garage. Yet, why not make an entire night of it in Mt. Airy? Start your evening with dinner and drinks at: Avenida, Earth Bread + Brewery, Geechee Girl, or Wine Thief Bistro. 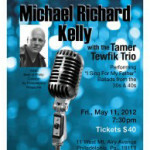 Then, come and enjoy the smooth sounds of Michael Richard Kelly and his Jazz Trio. Seating is limited so reserve tickets now. http://mtairyartgarage.org/wp-content/uploads/2012/04/Cabaret_poster-194_300.jpg 300 194 Arleen http://mtairyartgarage.org/wp-content/uploads/2016/06/maag-in-action_main-1024x274.png Arleen2012-04-28 11:33:342019-01-30 15:15:08Make It A Mother's Day Weekend To Remember!